Our country has recently been going through a health craze. Medical science has given us real evidence that the way that we take care of our bodies has a real impact on how we feel and how long we will live. I have joined this pursuit and am currently excited about trying to figure out how to make my cooking and baking healthier while still offering tasty foods for me and my family. One question that I have considered is whether all sugars are created equal. Is there a health advantage to cooking with brown sugar, and will brown sugar enrich the taste of my cooking? The following article is the result of my research on this issue. 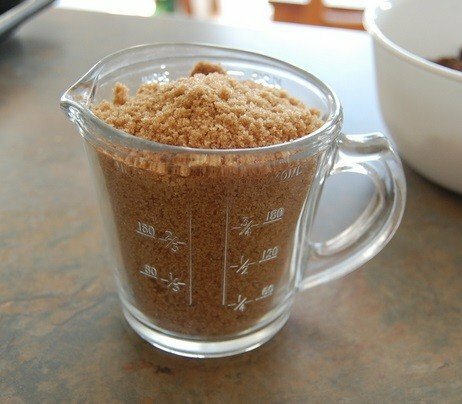 I have also included some interesting information about brown sugar in general and how to use it. To understand what brown sugar is, you have to know how sugar in general is made. Sugar is simply sucrose. It is a molecule that occurs naturally in many different plants. 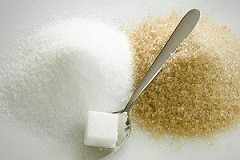 However, most of the sugar that we consume is extracted from the stalks of the sugarcane plant. To turn sugarcane into refined table sugar, you must go through the following process: First, you cut the stalks. Then, you crush them with rollers to extract their juice. The juice is then put into an evaporator to take out the water and concentrate it into a syrup. The sugar in the syrup is crystallized, and you come out with raw sugar crystals covered in molasses. Even though those crystals are now brown sugar, the brown sugar that you buy in the store goes through some additional processing. The molasses-coated raw sugar is refined to become white sugar, and then it is mixed with molasses to produce a consistent shade and flavor. The only difference between light and dark brown ﻿﻿sugar is the quantity of molasses that each contains. 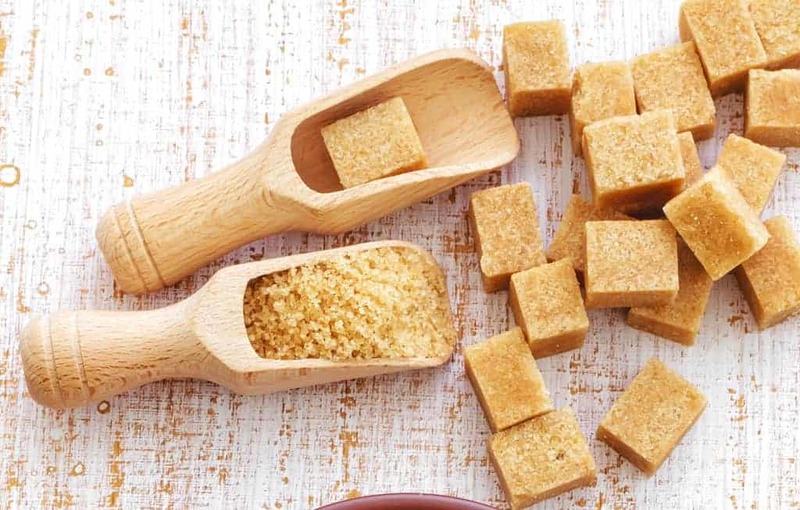 Light brown sugar has less molasses than dark brown sugar. There is a difference in taste to match the difference in color. Dark brown sugar has a more complex flavor. It is similar to caramel or toffee. The bottom line is that light brown sugar and dark brown sugar are interchangeable in recipes﻿﻿. Natural brown sugar that has not been fully processed is generally speaking more nutritious than white sugar. A single tablespoon of natural brown sugar has only 11 calories. The total mineral salt that is contained in natural brown sugar is a maximum of 740 mg. In 220 grams of it, there are 216 grams of carbohydrate and .3 mg of protein. You might be tempted to put brown sugar instead of white ﻿﻿﻿﻿﻿refined ﻿﻿sugar in your shopping cart, thinking that it will afford more health benefits for your family. Unfortunately, while raw brown sugar does have some more minerals than white sugar, it still is basically the same for your health. The ﻿﻿real ﻿﻿﻿﻿﻿benefits of brown sugar are its appearance and its tasty molasses flavor. The additional minerals in brown sugar come from the molasses in it. Brown sugar will make baked goods that are more moist than white sugar because of its molasses content. This means that you may have to adjust some of the other proportions in your recipes. You may need to put in less liquid ingredients and more dry ones. Brown sugar will also give you a little bit of caramel flavor and darken the color of your recipe a little bit. You can make your decision about which one you should use based on what texture you want to come out with. 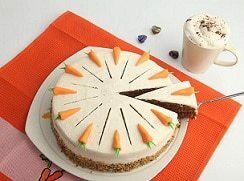 For a recipe of carrot cake or zucchini bread, you should use brown sugar. This will add more moisture. However, layer cakes need to be drier, so you should use white sugar for them. You can also use a combination of the two. Many cookie recipes call for this. White sugar used in high proportions makes a very crisp cookie. Cooks say that brown sugar is more "hygroscopic." This means that it draws in water from the air. So, cookies made with brown sugar will absorb moisture from the air and will soften. 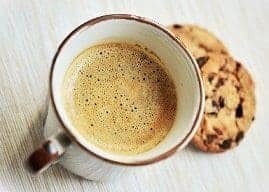 If you need to use brown sugar in your cooking, and all that you have in your cupboard is white sugar, then you can make your own with molasses. Simply mix 1 cup of granulated sugar with 1 and a half tablespoons of molasses. For a darker result, you should add one quarter cup of molasses. Brown sugar adds some flavor to desserts and baked goods. It can be substituted for maple sugar in recipes. Brown sugar caramelizes much more easily than refined sugar. For this reason, it can be used to make glazes and gravies brown while cooking. Brown sugar, since it has a rich flavor from molasses, can be used as a topping. While white sugar is somewhat of a bland addition to oatmeal and yogurt, brown sugar can be a tasty topping. I have even seen it recommended to add brown sugar to your morning ﻿﻿coffee. It doesn't go so well with tea, however. You can also mix brown sugar, water, and cornstarch for a homemade pancake syrup that is supposedly very good. 1. 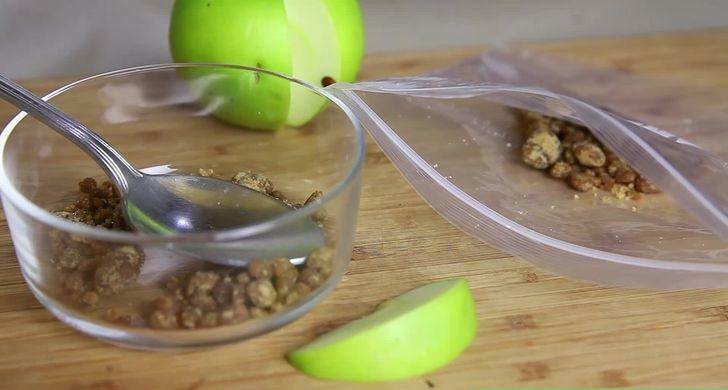 Place a piece of a pear or apple, even the core, in your airtight sugar container. The piece of fruit won't alter the flavor of the sugar, but it will soften its lumps. You also need to remove the fruit once the sugar is soft so that it doesn't become moldy. 2. Put the brown sugar in an open container. Then lay foil or plastic wrap on top of the sugar. Lay a moistened cloth or paper towel on top of the foil or plastic. Let it stay that way for a day or two. After the sugar becomes soft, take away the cloth or the paper, and seal the container with an airtight lid. 3. Put the hardened sugar in a plastic bag. Then, place a few drops of water in it. Seal it, and let it sit for a few days. If you use this method, you might need to further break up the lumps after it has sit. 4. Put a slice of fresh bread on top of the sugar inside of an airtight container. Seal it and let it sit overnight. If your sugar doesn't become soft enough by the morning, then let it stay for another day or two. 5. Find a piece of pottery in your house. A piece from a broken clay pot will do. Put it in water for about half an hour. Dry it off so that it isn't dripping with water. Put it into the sugar container, and seal it. Check to see if the sugar has softened after a couple of days. If you want to, leave the pottery in the sugar container for a long time to keep the sugar the consistency that you want. If you don't have a piece of pottery lying around the house, then you can buy commercial terra cotta sugar discs instead. 6. If you have a wood-burning stove in your home, then do the following: Put the sugar in an ovenproof dish or pan. Cover it with foil or a lid, and put it close enough to the stove to become very warm but not too hot. Since temperatures vary, it is hard to say how long this will take. However, you need to check on the sugar every once in a while. Be careful that the sugar doesn't get so hot that it melts. 7. You can use your blender or food processor to break up the brown sugar. You can do this by setting the machine to chop or pulse. 8. In the microwave, put the brown sugar container with a small bowl of water beside it. Turn on the microwave for about one minute. If you notice that it is still too hard, then put it in for another 30 seconds. You can repeat the process until your sugar gets soft enough for use. Be careful that you don't melt it, though. You will also need to use the sugar right away. This is because the sugar will harden again as it cools down. 9. 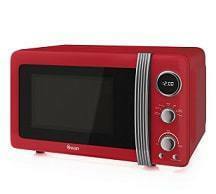 A second way to use your microwave to soften the sugar is as follows: Put the sugar in a microwave-safe plastic bag. Moisten a paper towel with water, and put it into the bag. Seal it. Microwave it for about 20 seconds. If it is still hard, then put it in for a few more seconds. Again, be careful that it doesn't melt, and you need to use it right away. 10. If you don't have a microwave, then you can use your conventional oven. Place the sugar in a pan, and let it stay in the oven at 250 degrees for about five minutes. Keep it in the oven until it reaches the consistency that you desire. 11. When you don't have access to electricity, you still can easily soften your brown sugar. Place the sugar into a heavy plastic bag and tie the bag closed. Cover the bag with a towel and lay it on some sturdy surface. Get a hammer, and smash away at the bag. This will break up the sugar. 12. 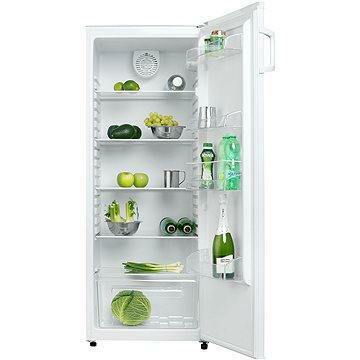 To keep the sugar soft after you break it up, you can store the sugar in the freezer. Thaw it out before you need to use it. 13. When you open up your package of sugar, empty it into an airtight container or a zip-top bag. Keep it tightly sealed. 14. If you are using brown sugar in a box instead of a sealable bag, then you can leave a strip of orange peel in the box to keep it soft. 15. You can use a slice of fresh bread to keep the sugar soft. This is particularly good because the bread is something that will not spoil if it is kept in the container with your sugar. I hope that you have enjoyed my article on everything about brown sugar. 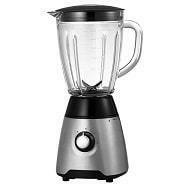 Hopefully, I have given you enough information so that you can use this tasty ingredient in the way that you wish to. I encourage you to leave any comments that you may have, and you can share the article with your friends if you have liked it.